This Luxurious Houseboat lets you experience houseboating BEYOND BELIEF! The Silverthorn Queen I is by far one of the most popular boats in our fleet for larger groups and get-togethers. 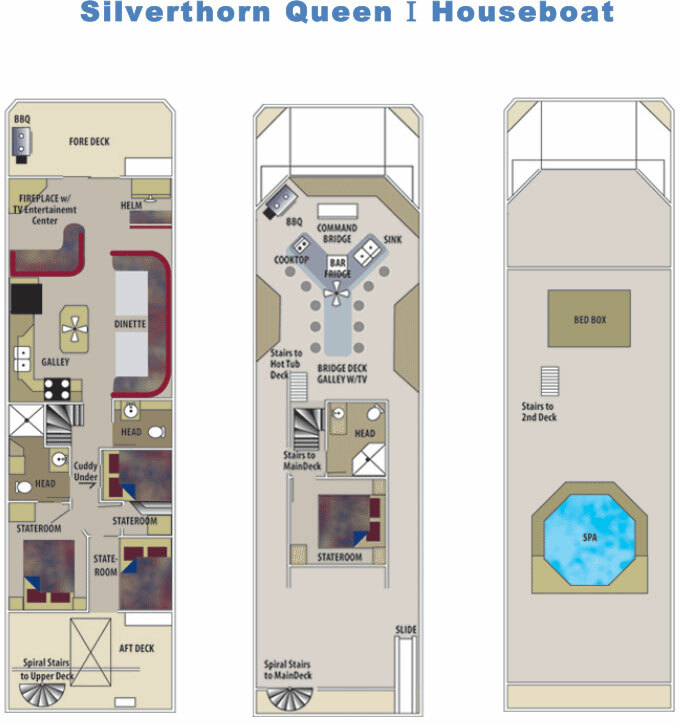 The Silverthorn Queen I was custom designed to ensure the most luxurious houseboat experience on Shasta Lake. This houseboat sleeps up to 20 and is equipped with 4 private staterooms PLUS a bonus room, 2 1/2 bathrooms, spacious kitchen with a full size 25 cubic foot refrigerator/freezer, wet bar, 2 bbq areas, fireplace, satellite tv with dvd, hot tub, and slide!